Bexhill-on-Sea is the Birthplace of British Motor Racing, home of the De La Warr Pavilion and Guinness World Record breaker for the largest Charleston dance. Bexhill-on-Sea is regarded as a predominantly residential town with a visitor element. It is located at the very heart of the district of Rother. Discover Bexhill is an independent website brought to you by local entrepreneur Alastair Hazell. It was the 8th Earl de la Warr who offered his sea front estate, because of its proximity to the ferries to the Continent, on which to host the first International Motor Race Meeting in this Country in 1902, in conjunction with the Automobile Club of Britain and Ireland, which later became the RAC. The Sackville, which still stands today, was their headquarters for the Motor Races, which continued in Bexhill until the first purpose built track was opened in Brooklands in 1907. Bob Marley's first ever UK gig was at the De La Warr Pavilion in July 1972. He appeared as support for Johnny Nash in an event organised by Bexhill Lions Club to raise money for the Glyne Gap swimming pool fund. 2pm at No.48 devonshire Road. 7pm at No.48 Devonshire Road. Bexhill seems to have retained all the best qualities of English life since the turn of the last century whilst managing to avoid most of the unpleasant influences that seem to have plagued so many other towns. 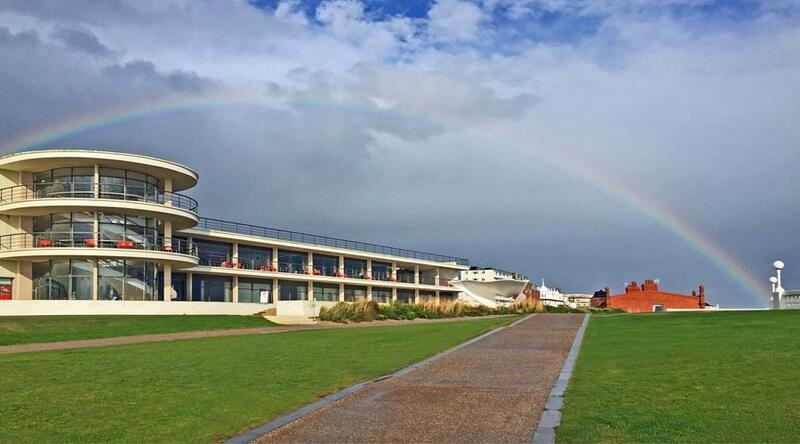 Read more about Bexhill in the About Bexhill page. Discover Bexhill has been the leading independent, online Bexhill guide since 2004.